Deep Sea keeps many secrets. Dive into sea and find chests full of treasures. Excellent software tool solutions from the featured in download catalogues! Explore the asked-for software apps classes, ascertain the freshest versions of the amazing tools, and setup instantly! Do not lose a luck to recieve the best software: utilise SoftEmpire to setup software for free of charge. Meet the website of freeware and software program test versions. Search among computer apps, test planners, antiviruses, and all other sorts of utilities for your laptop or cell stuff! Paraben's Mah-jong is an easy playing version of the classic game. Play it in English, French, German, or Spanish while listening to music. With features like &quot;shadows&quot; and &quot;3D&quot; play, the only challenge comes from the game itself. 3D play using your choice of DirectX 8.1 or OpenGL. Improved rendering speed in 2D version. Includes a layout editor and background image support for 3D play as well as support for .TGA tilesets and backgrounds. When you download and istall the demo version, you can choose to install all three versions (2D, 3D DirectX, 3D OpenGL). Try them all out to see which one works best on your system. 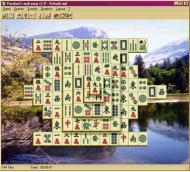 Sea Battle is a computer version of popular battle ship board game. The program is small, cute, very interesting, and playable. Sea Battle is a great replacement of solitaire game on coffee break, airplane, or cloudy evening. Absolutely free.